The Batman DC Comics Inline 2 wheel scooter is perfectly adapted for little fans of Batman. 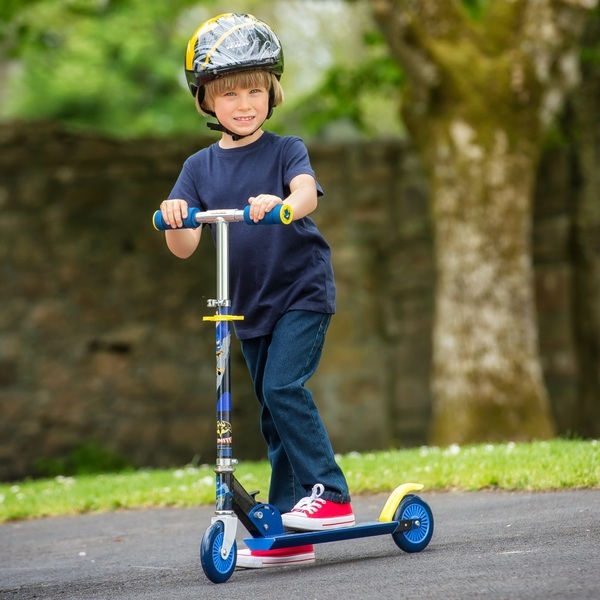 This Batman DC Comics 2- wheel scooter is safe with its anti-slip footplat and its rear brake, this scooter is featured with an adjustable handlebar to grow with your child. Easy to store with its easy to use folding system. This Batman DC Comics 2- wheel scooter helps your child develop body coordination and balance. EU Warning: Not suitable for children under 3 years of age. Protective equipment should be worn (knee, wrist, elbow pads and helmet) Adult supervision recommended. Not to be used in traffic.